I can vividly remember when a patient's plan of care was separated from anything related to the expense associated with that plan of care. As a nurse, I didn't have any idea what a patient might have to pay for a procedure. My how the times have changed! The patients we take care of today are demanding a conversation about how much they are going to owe after they receive the high quality care they expect. If there's one thing that never changes it's that you always, always listen to your patient. In the high deductible world we live in today, people want to know that we are taking care of them mind, body, soul and bank account (usually in that order.) So those of us who are listening have made adjustments. We've realized that value for patients in health care today must factor in cost without impacting high quality care. 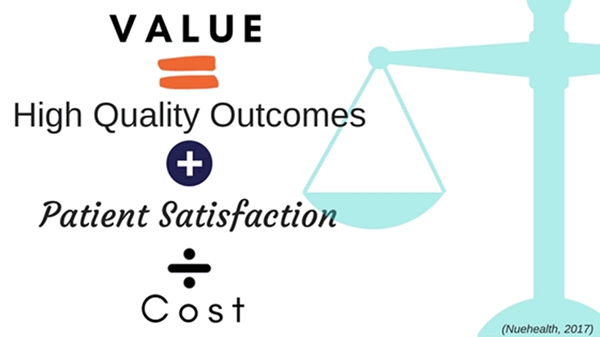 Now we look at value for patients as a measure of high quality outcomes plus patient satisfaction divided by cost. 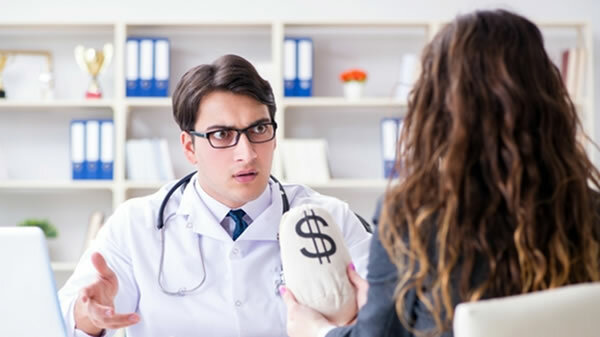 Our decisions can really impact a patient's personal out of pocket expense and as a result we are more educated about how to deliver the full value our patients are looking for without breaking their bank. Our patients want to know how much a procedure is going to cost but they also want an explanation of why they owe what they owe. A lot of patients tell us it still feels like some big confusing well-kept secret as to how we arrive at their portion of the bill. Admittedly, it can be just as frustrating as buying a car or worse! There are some complexities within healthcare billing that are difficult to speak to in generalizations. This is mainly because insurance policies are like snowflakes. It's still snow, but they all look a little different. Luckily, the basics are the same and by having a working knowledge of the information below you too can better understand your policy and become an educated consumer of health care! So if it was a well-kept secret, I am about to let the cat out of the bag and you won't believe how simple it actually is! Let's start with rates (aka fee, cost) because it all starts with rates! A rate is the amount of money an insurance company and a provider of health care (doctor, facility) agree that a specific treatment is worth. Think loaf of bread costs $3.25. Simple as that. Long before you ever sign up for an insurance plan, your insurance company has already established rates for every possible medical situation under the sun through a universal and comprehensive coding system with their "In-Network" providers who treat these specific situations. If you are injured by walking into a lamppost or need to have a hernia repaired there is a code for that and a rate has already been determined for treating that injury! Rates can vary based upon where a service is performed. The best examples I can think of are emergency care and surgery. In most cases we all know by now that it is usually cheaper (and more efficient) to go to urgent care vs. the emergency room. This is largely why urgent cares have been so successful in the past few years. In the case of surgery, the same specific procedure will often have a different established rate depending upon whether it is performed in a hospital, surgery center (ASC) or physician office. According to Franklin Trust Ratings; Disruption in the Surgical Care Marketplace, within the commercially (private) insured population in the U.S., an estimated 37.8 billon is saved annually by using ASCs (surgery centers.) We look to see the same transformation we have seen from ER to urgent care within surgical care specialties over the next several years. Simply means rates have already been agreed upon between your insurance plan and your provider. Someone somewhere knows exactly what you're going to pay before you ever walk into that lamppost. I guess that's one less thing to worry about! Simply means rates have not been agreed upon between your plan and your provider. Your in-network benefits (amount you might personally owe) and your out of network benefits can be different and may or may not count toward one another. Many people think going out of network is impossible or illegal even. 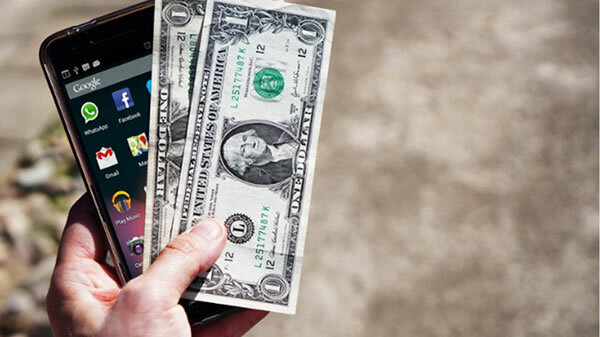 That may not be the case and depending on the situation it can even be financially beneficial for you to go out of network. Definitely don't assume out of network is always a bad thing. It can be worth your time to look into these options! This is a piece of paper you get in the mail from your insurance plan to "explain" your benefits and how they were applied to specific claims (aka bills) that they received from your provider. An EOB is not a bill. It is a document for your records only and you really should keep them. If you have questions about an EOB, call your insurance company and ask them to explain it. You're already paying for the service, so take advantage of it. This is the expense best known for "coming out of your paycheck." It's the cost of the policy you carry whether you use it or not. You will pay this every month just to have insurance just like you pay a monthly insurance premium to for your car. The terms below will help you understand the additional costs you may encounter when you actually use the health insurance you are paying for. This is a specific set dollar amount you must pay before your insurance pays a penny toward your actual healthcare costs. The premiums you pay do not count toward your deductible. So if you have a $2,000 deductible, you will be personally billed for every bit of that $2,000 (in addition to your monthly premium) before insurance kicks in. This is a percentage of the total rate that you are going to pay. This can be an additional expense to your deductible. Example: The rate (fee) for your situation is $1500. You have a $1000 deductible to meet with a 20% co-insurance. You are personally going to owe $1,000 plus 20% of the remaining amount ($500) for a total personal expense of $1100. This is the maximum amount you are responsible to pay for healthcare expenses each year, not including your premium. Once you have spent this set amount, your insurance is picking up the entire tab. In other words, if you have an out of pocket maximum, this will eventually cap the co-insurance. Thank goodness there's an end in sight, right! Using the example for co-insurance above, this means that if you have an $1100 out of pocket maximum it is most likely that your insurance will be picking up the tab from here. Yay! If you have an $8,000 out of pocket maximum, it means you will be paying 20% of any rate or fee you incur throughout the rest of the policy period until you have personally paid $8,000. This is a set amount you pay per visit that does not usually count toward your deductible. Co-pays within a health insurance plan can be a little squirrely, kind of like being bitten by a squirrel (that's a W53.21XA by the way.) You may or may not owe a co-pay depending upon the type of health care visit you're planning. For example, you may have a co-pay for a regular appointment with your primary care doctor, but no co-pay for a surgical facility. With high deductible plans, it is uncommon but not impossible for patients to have a co-pay. The majority of commercial or private insurance policies we see today look something like this: Patient pays a monthly premium for a policy with a deductible and a co-insurance up to a certain out of pocket maximum yearly expense. Now that you understand the simple basics, I'll explain a little bit about what we do. When you are scheduled for a procedure at CSA Surgical Center, the first thing we will do is verify your insurance benefits with your insurance company since we know they are all like snowflakes. Once we know your policy, we will use the code for the specific procedure that has been recommended by your surgeon to find the rate we've agreed upon with your insurance company. We will use all of this information to estimate what you are going to owe the facility. We will call you with this estimate before surgery, so you don't have to carry the stress of wondering what this is going to cost and can make arrangements to pay for the procedure. The facility rate or fee takes into account and includes the cost of all of the medical supplies, implants, and medications needed for your procedure as well as the expense of the facility itself and the highly qualified staff participating in your care. We also encourage patients to call for a quote. We just need to know the treatment code recommended by your surgeon and your insurance information in order to provide an estimate. 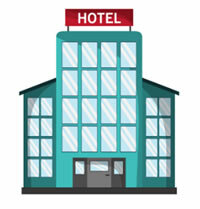 Just like The Marriott can't quote you a price at the Hampton next door, we can only provide estimates for our facility. If you are concerned about finding the best value at the best price, we encourage you to call and obtain quotes from any and all of your facility options. Lastly, it's important to recognize where the bills might be coming from. In the case of surgery at our facility, you are going to be looking at a facility fee and a surgeon fee no matter what. You may also have an anesthesia fee and a pathology fee if these services are required for your surgery. These will all be separate rates/fees. This can be set up differently depending on where you're going and what you're having done. Always make sure to ask where you can expect to receive bills from when you're scheduled for anything and take notes. We know there's a lot going on with you physically and emotionally when you're being scheduled for anything related to your health. It's very easy to forget what you may have been told or not even think about the cost until the bills start coming in months down the road. Understanding the basics of your policy, asking billing questions up front, and taking good notes will serve you well throughout your health care experience. I have to take notes and I do this for a living! A pro-active approach will reduce the fear of the unknown related to your out of pocket expense and probably simplify your life when your health care experience is in the rear view mirror and you do start to receive bills in the mail. We recognize the significance of your health care experience on you...mind, body, soul and bank account and our experienced and knowledgeable billing team is here to assist you through this process!